The Department of Pediatrics at King George's Medical University was established in 1954 with Prof N.L. Sharma as the founder head. 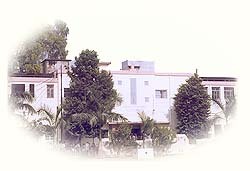 A new block of the Gandhi Memorial and Associated Hospitals was built to house the Children's Hospital. The first batch of Diploma in Child Health (DCH) students was admitted in 1961 and MD Pediatrics students in 1962. The Department of Pediatrics at KGMU is a multispecialty academic department. It has played a pivotal role in nurturing various pediatric subspecialties. We had well developed specialties of Neonatology, Pediatric oncology, Pediatric neurology and Pediatric Intensive Care. In the year 2016, two departments - Pediatric Oncology and Neonatology - were carved out of this parent department. Faculty selections for the new departments have not yet taken place however, and both are being served by faculty and residents of the parent department. At present, the department has 12 faculty members headed by Prof. Rashmi Kumar. All the faculty members are involved in research, training and teaching activities. The department holds MD and DCH course in Pediatrics. The annual intake for the MD course is 9 students and for DCH 10 students. Apart from MD and DCH, the department also enrolls PhD candidates annually. A one year fellowship in Pediatric Neurology with annual intake of 2 post MD/ DNB students was started in 2017. The Department of Pediatrics is the Program Study Centre for the Postgraduate Diploma in Maternal and Child Health (PGDMCH) of Indira Gandhi National Open University (IGNOU). It is also heavily involved in various trainings of medical officers and other personnel under National Rural Health Mission. The Department also offers dedicated Pediatric Neurology services, where children with diverse types of neurological diseases and disabilities are treated. The Pediatric Neurology Clinic is held on Thursdays. Services of child Psychologist and Physiotherapist are also available in the clinic. The Department has its own EEG lab running on wet lease basis. Pediatric Asthma clinic is held every Monday. The department has facilities for performing spirometry in children. A Thalassemia Clinic and Day Care Centre has been established in the Department with financial aid from National Health Mission (NHM). Children suffering from Thalassemia are provided regular blood transfusions and iron chelation therapy in the Day care Centre. Immunization services are provided in the OPD daily except Sunday and holidays. The department has its own laboratory for bedside investigations, a library, a lecture room and an auditorium. The departmental library functions round the clock and it has all the latest textbooks pertinent to Pediatrics and computer facilities with internet connection. The department has Translational Medicine Unit - a state of art laboratory capable of sophisticated genetic testing.